Here is your opportunity to be an integral part of a BC based natural foods brand that is experiencing tremendous growth across North America. Naturally Homegrown Foods Ltd. is a premium snack food company based in Surrey, BC. 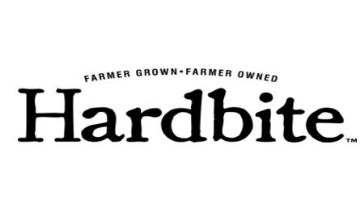 We produce all-natural potato and root vegetable chips under the Hardbite™ brand name. For more information on our company, please visit us on our Facebook page, Instagram (@hardbitechips), Twitter (@Hardbite), or Website (www.hardbitechips.com). We currently have an opening for a Marketing Manager- 12 Month Maternity Leave Contract based out of our head office in Surrey, BC. Reporting to the President, you will plan, develop, and execute marketing activities to help us achieve our objectives supporting our direct to consumer and wholesale channels, driving global brand awareness. We will give you the freedom to succeed and the satisfaction of being a key part of a dynamic team. Lead development and execution of annual brand plans to meet sales and profit goals, including active monitoring of business fundamentals. Lead articulation of brand positioning, product architecture, and brand guardrails. Provide input into brand innovation, specifically guiding delivery against unique brand proposition including developing long-term innovation. Lead agencies on strategy and creative development for fully-integrated marketing communications. Includes developing experiential marketing/PR/digital marketing plans to deliver efficiently on brand-building and buzz-generating objectives. Partner with Sales to develop channel strategies and drive growth business at key customers, including implications for pricing and sizing, evaluate channel specific needs, identify business opportunities, and track new item distribution and performance. Collaborate with internal research team to leverage research (historical and secondary) and insights (consumer and supplier research, trends) to drive business planning and brand actions and ensure continuous learning plan. Lead the development and execution of product and packaging design plans including concept development, feasibility validation, product and packaging R&D, business proposal and approval, project execution, customer sell in and tracking of in-market performance. Manage budgets and recommend in-year trade-offs needed to deliver category targets, consulting and aligning with equity/innovation on major shifts in spend. Support tactical execution and resolution of escalated issues for the commercial plan. Lead portfolio management efforts including SKU rationalization and resolution of ad-hoc product/package issues and opportunities. Influence launch plans to deliver the P/L; deliver all innovation/renovation/commercialization projects from PDR through launch. Manage digital marketing strategy across all platforms. Naturally Homegrown Foods offers a competitive compensation package including a benefits package. To apply to this exciting opportunity with Naturally Homegrown Foods Ltd., please e-mail your resume and cover letter outlining why you are interested in the role including salary expectations to careers@hardbitechips.com, referencing “Marketing Manager 2019-01” in the subject line. We thank you in advance for your interest. Only selected applicants will be contacted. No phone calls please.